Concrete Horizons: Contemporary Art from China revealed how contemporary artists in China are developing new visual languages and tactics of intervention to express the tensions, the paradoxes, and the prevailing sense of disorientation and displacement that is symptomatic of rapid urban modernisation. When, in 1940, Mao Zedong stated, “there is no construction without destruction (bu po bu li)”, he could not have envisaged that these words would hold such a profound, though paradoxical significance in the new millennium. Since the late 1980’s when China embraced the ‘Open Door’ policy, new economic imperatives have overshadowed political and ideological principles. As a result, this drive to modernise has inspired a massive urban renewal programme that has irreversibly changed the face of ‘communist’ China. In the lead-up to the 2008 Olympics, it is reported that the capital city’s urban renewal programme will be brought forward by a considerable thirty years and it is envisaged that more than eighty percent of the city will be rebuilt during this period. As the old walled cities that once defined, confined and protected the ‘Middle Kingdom’ are torn down, new Chinese cities and ‘Special Economic Zones’ (SEZs) have emerged and supplanted them. China has become fixed in a never-ending cycle of reconstruction. In just three decades it has been transformed from an agrarian, socialist nation into a thriving capitalist, Chinese global metropolis. 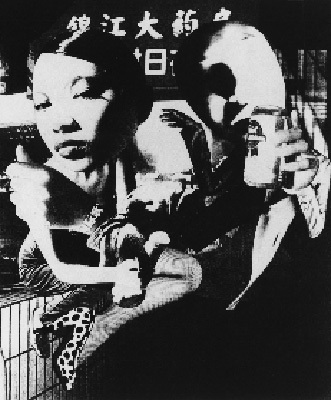 Curated by Sophie McIntyre, Director of the Adam Art Gallery, Concrete Horizons features twenty-five works by seven artists from mainland China. The majority of the artists live and work in China’s two largest cities, Beijing and Shanghai, and have personally witnessed these changes. As a result their work reveals the complex socio-cultural implications of China’s massive urban growth. 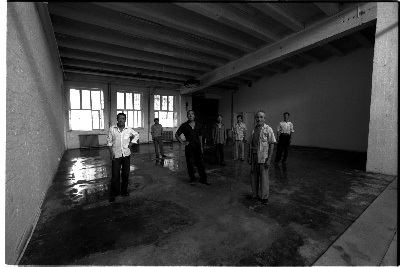 The artists included in Concrete Horizons ranged from those with established international profiles such as Song Dong, Yang Zhenzhong, Yin Xiuzhen, Lin Tianmiao and Wang Gongxin to younger more emerging artists such as Wang Wei and Wang Jun. 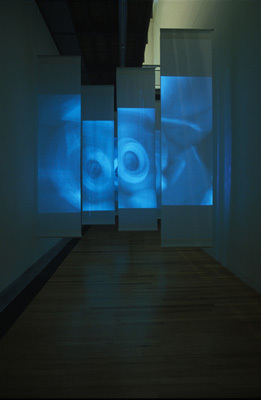 Internationally acclaimed artists, Wang Gongxin and Song Dong, created site-specific new media installations and performance-based, interactive works for this exhibition, whereas artists Lin Tianmiao, Yin Xiuzhen, and Yang Zhenzhong included installation, photographic and video-based works. Also included in Concrete Horizons were compelling photographic works by Wang Wei and Wang Jun, who represent a younger generation of emerging artists. 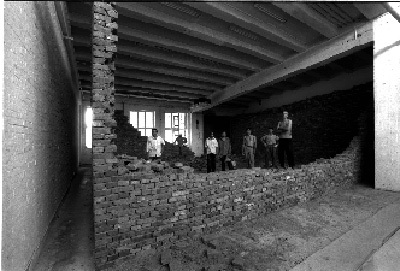 The vast impact of China’s rapid urbanization is reflected in the range of issues that are referenced in Concrete Horizons, from the explorations of public and private spaces, to broader social issues, such as the emerging socio-economic disparity between rural regions and metropolitan centres in China. 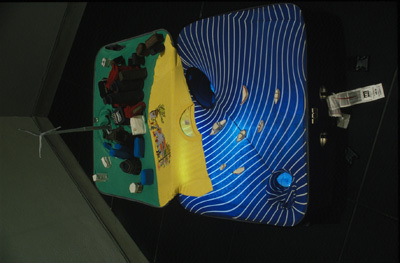 Additionally, issues relating to China’s ‘floating population’ of migrant labourers, and the rise of consumerism are addressed in this exhibition. 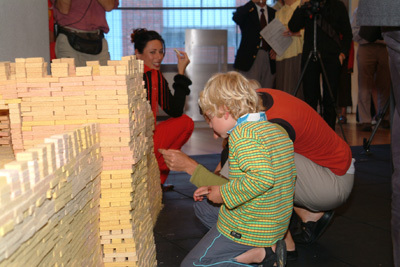 Concrete Horizons: Contemporary Art from China was supported by funding from the Asia 2000 Foundation and Museums Aotearoa and was presented in conjunction with the 2004 New Zealand International Festival of the Arts. We also acknowledge the support of Intercontinental Wellington and Cathay Pacific.